NHTSA Opens New Probes Into Kia, Hyundai Vehicle Fires Reports of thousands of fires and a petition from a consumer advocacy group led the auto regulator to open new investigations into fires that were not sparked by a collision. 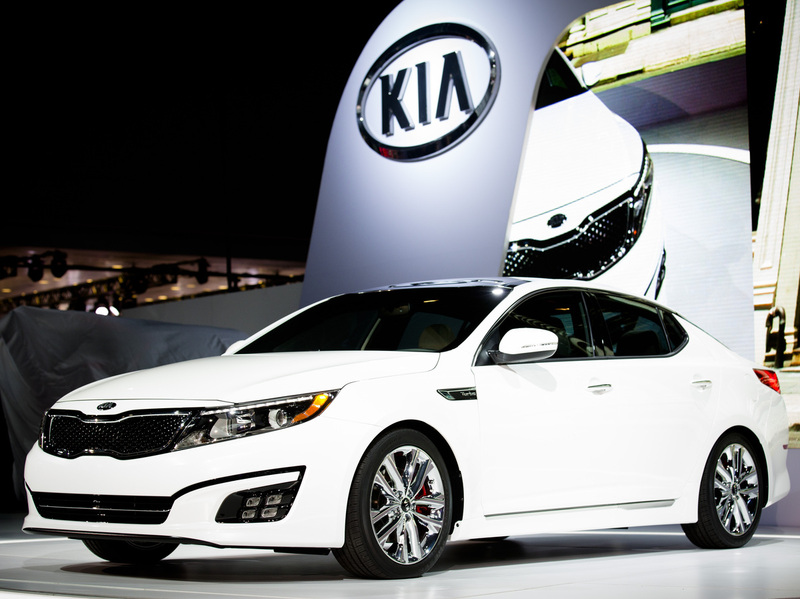 The 2014 Kia Optima, pictured here in 2013, is one of the vehicles included in new probes by the National Highway Traffic Safety Administration. The National Highway Traffic Safety Administration has opened new investigations into fires in five Hyundai and its affiliate Kia vehicle models, following reports of thousands of fires and ­­more than 100 injuries and one death. The federal auto safety regulator announced on Monday that it had launched the two investigations into nearly 3 million vehicles in response to a petition from the Center for Auto Safety, a consumer advocacy group. The probes come on the heels of several years of recalls for both companies over fire risks. The cars included in the scope of the new investigations by the NHTSA's Office of Defect Investigations are Hyundai's 2011-2014 Sonata and Santa Fe, Kia's 2011-2014 Optima and Sorento, and Kia's 2010-2015 Soul. Altogether, the agency and the pair of South Korea-based vehicle manufacturers have received 3,125 reports of fires that were not sparked by a collision, according to the NHTSA. The agency's documents also show one recorded fatality. According to the NHTSA, the investigations will "assess the scope, frequency, and potential safety-related consequences of alleged defects" relating to "non-collision" fires in the vehicles. Jason Levine, executive director of the Center for Auto Safety, said in a statement that the decision was overdue. "It is long past time for the full power of the federal government to be brought to bear to answer why so many thousands of Kia and Hyundai vehicles have been involved in non-crash fires," Levine said. The center originally asked the agency to look into the Optima, Sorento, Sonata and Santa Fe vehicles in June 2018, then added the Soul to the list of problematic vehicles the next month. It has also asked Congress to investigate the fires. Prompted by the center's original petition, the Highway Loss Data Institute analyzed insurance records and found that certain years of the models under investigation had "significantly higher" rates of non-crash fire claims than comparable vehicles. The institute's findings suggested that the problem was related to the 2-liter and 2.4-liter "Theta II" engines, both of which were correlated with elevated claim rates in the Hyundai and Kia models. The companies have issued several recalls since 2015 as a result of engine failures and fires. In February, the companies recalled more than 500,000 vehicles, bringing the total number of vehicles recalled to more than 2.3 million, according to Reuters. February's number included several hundred thousand Kia Souls, the Associated Press reports, which Kia had been investigating after the center sent its petition to federal regulators last year. The NHTSA said that prior recalls of vehicle models covered by the investigation have related to engine fires but that this probe "is not limited to engine components and may cover additional vehicle systems or components as well." Both Hyundai and Kia told the AP that they're cooperating with the investigations and have been transparent with the NHTSA. In a separate issue, Hyundai also recalled about 20,000 Veloster cars in the U.S. and Canada last week because of damage to the engines that can cause stalls and fires, The Washington Post reports.